The end of spring means warmer weather, beach days, and the biggest horse race of the season. But if you can’t hop a plane to Kentucky, don’t despair, there’s plenty of horse racing happening May 4th right here in Tampa at our own Tampa Bay Downs. This Derby Day get out from behind the TV and watch two high-stakes and highly exciting races live. The FTBOA Silver Charm Florida Sire Stakes will be on Saturday, May 4 and will have $100,000 guaranteed. This one mile and forty-yard race is for colts and geldings three years old. These prime racehorses will surely provide a pulse-pounding race to celebrate the day with. May 4 is a day for the ladies too, the stars of the second stakes race. The FTBOA Ivanavinalot Florida Sire Stakes will also take place May 4 and will have $100,000 guaranteed. The one mile and forty-yard race is for three-year-old fillies. Cheer on your favorite what’s sure to be an explosive race! 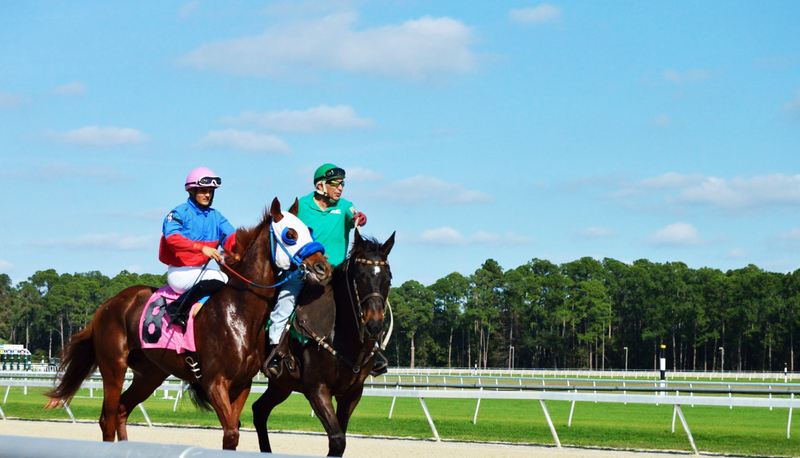 There’s plenty of fun to be had this Derby Day right here at Tampa Bay Downs. Get out to the turf for the beginning of the end of this season to celebrate some local rising stars, take a chance on a bet, and just enjoy the beauty of Florida horses racing on a track they love. For more local Tampa events, register at 813area.com your free guide to everything happening in your city!